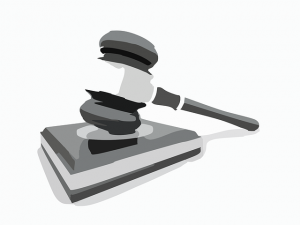 Should You Hire Your Bloggers Through Bidding Sites? Are bidding sites worth your time for freelance bloggers? There are many different ways to hire bloggers and writers. One of those, that seems to be relatively popular, is through bidding websites. The question is whether you should use these sites to hire your writers. Is it best just to go directly to the source? Before I get into the pros and cons of hiring bloggers through these types of sites, you need to know what they are. As a client, you sign up to offer projects that you need completing. Freelancers then bid for that work, and you get to choose the writer(s) who best suits your needs. It is possible to find good writers, but they tend to be few and far between. Due to the rates that people bid, there are a lot of low quality/unreliable writers out there. The idea of getting bloggers for a cheap price appeals to many people. We all want something for as little as possible. Why hire a blogger who charges $50 for 500 words of content when there are writers who charge $5 for the same amount of content. There are some problems with this. Remember that saying “you get what you pay for?” That plays a part right here. If you’re going to hire someone for $5, you can expect $5 worth of work. You will get much better quality for someone charging $50. Why? Well, for one thing, the writers aren’t having to work for hours each day just to make ends meet. They’re able to spend more time on your content, so it will be perfect. They’re also going to communicate with you better before, during and afterwards. It’s very hard to tell if a writer is any good just from a profile page. When you hire bloggers directly, you get to have a conversation with them first. You’ll see samples of their work, and find out more about their experience. This is much harder on bidding sites. Most sites forbid communication outside of the site, which means that you can’t get into lengthy email discussions or Skype conversations. You need to go off the minimal communication you get in the private messaging on the site. There is also an issue with seeing samples. Unless the samples are sent as links, how do you know that the writer actually produced the work himself? When you’re hiring bloggers on bidding sites, you’re not usually hiring an individual. There are a lot of writing teams passing off as freelancers. This will cause a major issue for you. That sample you received will usually be from one of the best writers. However, you’re not guaranteed to get that same writer. There are high chances that you will end up getting someone who is willing to work for slave wages. Their grammar can be extremely poor, and they won’t necessarily grasp your industry. 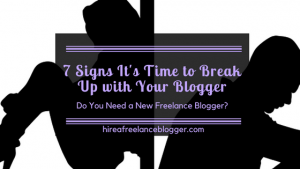 There’s also no guarantee that you will get the same blogger or writer each time you send that “person” work. The quality will be all over the place, and you don’t deserve that. While there are writers on bidding sites, they’re not necessarily the ones that you want. As a client, you deserve the best quality and the best way of finding that is by dealing with bloggers directly. 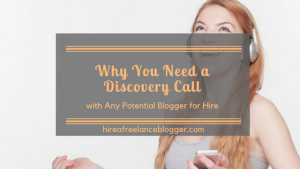 Should You Use Residual Income Sites to Find Freelance Bloggers? It really is, especially when there are now so many options at our doorstep. Thanks for stopping by, Rachel. Hi Swathi. This isn’t just about reviewing products or companies on your blog, but looking around for reviews in general. Sometimes it’s just on a forum or those Google pages. Thanks for stopping by! All positives need a bit of negative to balance out, if someone only had great 5 star reviews it would actually get me wondering if they were genuine! So yes, I agree we need to look more in depth to find the right person for the job! Me too, Lisa. And my husband had the same view too when I was talking to hime about it. All positives give the vibe of a scam, and I’d start to wonder whether someone has bought reviews to give off an amazing appearance. Currently lying idle, but just moved it to another host. I had a one pager on that site a while ago,. And yes, I’m a freelance blogger available for hire. 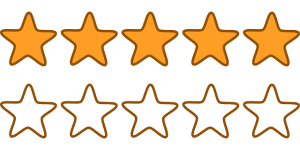 Talking about reviews, I’ve worked in the past on oDesk and clients give their testimonials. Other clients find freelancers and read the testimonials and decide whom they wish to hire. Then they contact them. These days, I’m doing guest posts, which is also like a bloggers’ review, isn’t it? So you’re the one who has the .com. 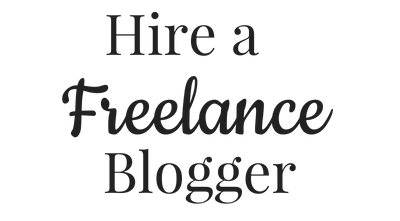 I wondered that when I was looking into getting the HireAFreelanceBlogger domain name. I’ve never done anything on oDesk. Is there a place for clients to leave negative reviews if a freelancer hasn’t done the work they said? I wouldn’t say guest posts are like reviews though. Guest posts are more to share your work with others, and build authority. It’s also about building a network with other bloggers.